It was recently reported that the former Oppo subsidiary is also planning to launch its own app store. There’s no denying the fact that Realme had a great (and busy) 2018. The nascent company launched as many as five smartphones last year, and is showing no signs of slowing down any time soon, having recently unveiled an upgraded variant of its C1 budget smartphone. Realme started off as a subsidiary of Oppo, but soon became an independent brand, and is now headed by former Oppo VP Sky Li. That said, all of the company’s smartphones still come preloaded with ColorOS, the custom Android overlay developed by Oppo. However, if the newest bit of information is to be believed, that could change soon. 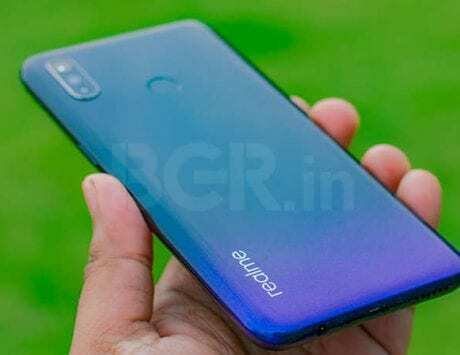 According to a report by 91Mobiles, Realme recently filed a trademark application with the United Kingdom Intellectual Property Office. Interestingly, the application talks about something called ‘RealmeOS’, hinting that Realme may be working on its own Android UI overlay and could ditch ColorOS for its future smartphones. As noted by 91Mobiles, the description in the trademark application suggests that ‘RealmeOS’ could be used for OS programs, software to maintain and operate computer systems, and downloadable apps for mobile devices, among others. White that does sound exciting, it’s unlikely that the new Android overlay will be ready in time for Realme 3, which is expected to launch in the coming months. It’s worth mentioning that a custom Android overlay isn’t the only ‘software’ Realme is working on. Recently, it was reported that the former Oppo subsidiary is planning to launch its own app store, which will work as an alternative to Google Play store.